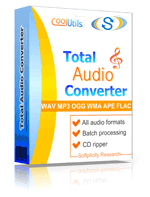 Transform MPP to MP3 audio files online and without ads! Try a MPP to MP3 Online Converter or get our Coolutils batch App! Description MPP is a file extension related to the Musepack codec based on MPEG-1 Layer II. This codec implies only VBR encoding. The speed of encoding and decoding sound signal in MPP is significantly higher than the speed of the same operations in MP3. MPP has some limitations: it is applicable only for frequencies up to 48 kHz and doesn’t support multiple channels. .mpp extension was substituted by .mpc. That is why MPP files are rarely met now and usually cause problems in playback.